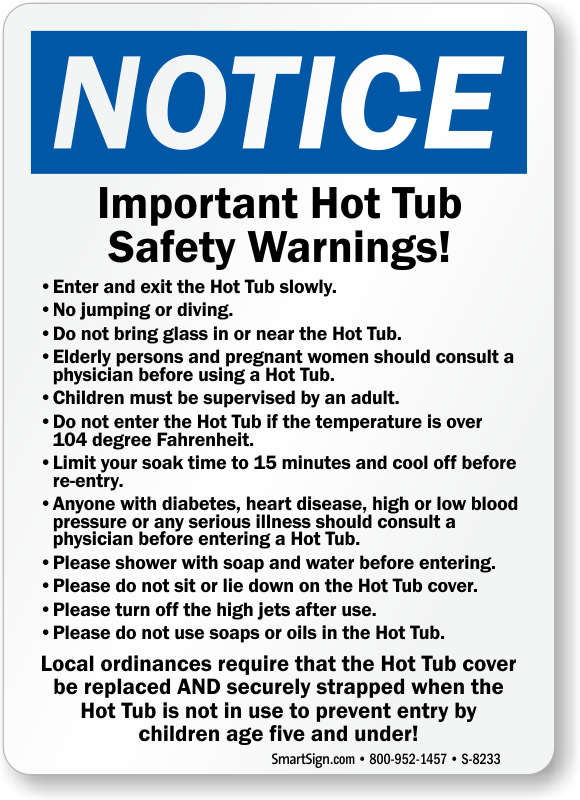 Hot Tubs and Spa areas are meant for fun and relaxation but potential hazards do exist. 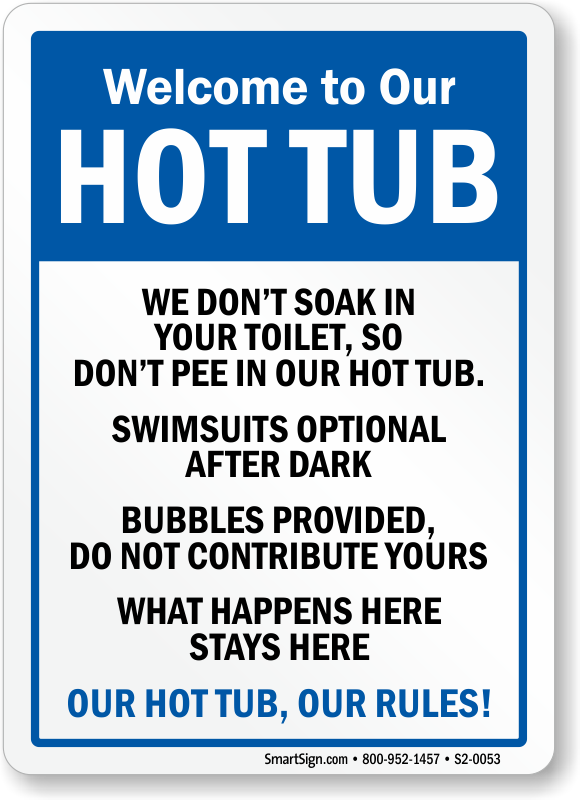 Post Hot Tub Signs identifying your rules and policies to prevent accidents and keep your guests safe. 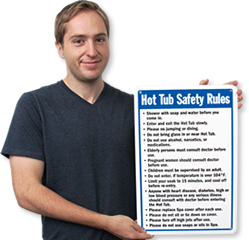 This is the best way to promote safe practices in your hot tub. 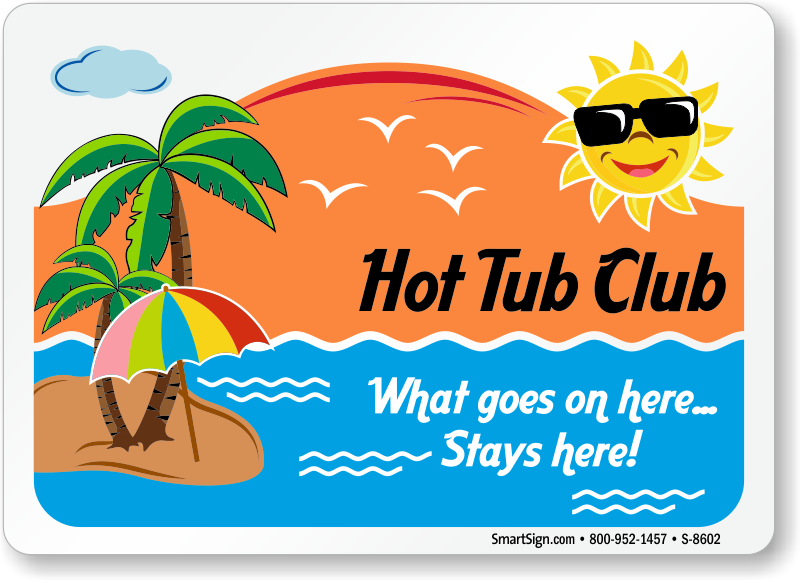 • Aluminum signs withstand heat and depict clearly written messages to preserve the peace in your spa. 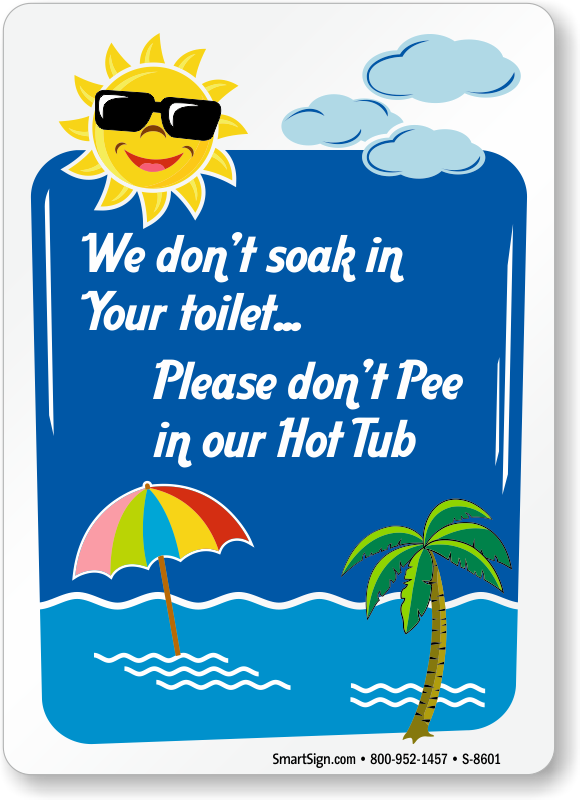 • Safety procedures by the pool are essential. 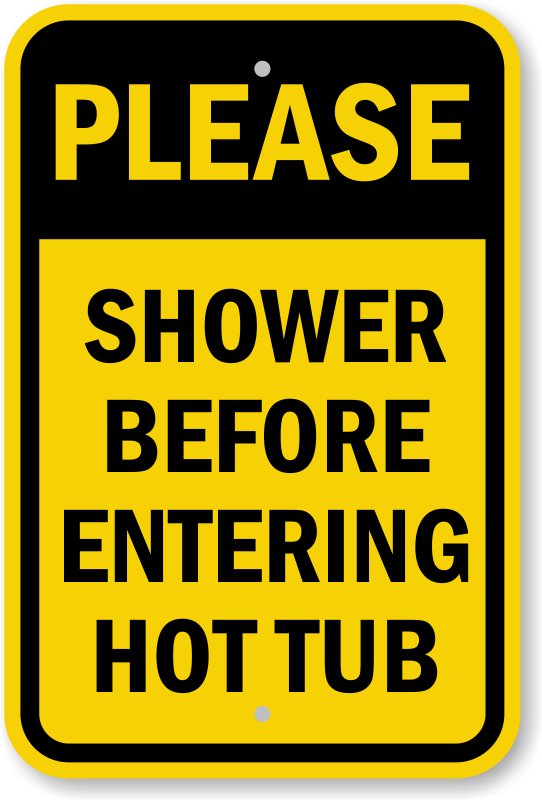 Remind users to shower before entering, walk safely around the hot tub, keep glass away, or that there's no lifeguard on duty and children should not be unsupervised. 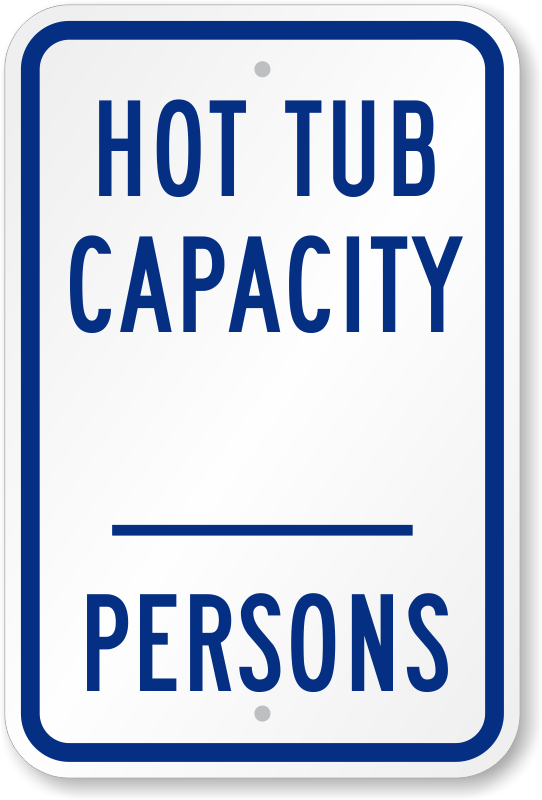 • Our signs are invaluable aids for a safe and fun hot tub experience, while they also act as great deterrents against carelessness with safety. 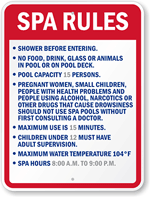 Maintain the serenity of your spa with signs that promote good behavior. Choose from 16 colors. 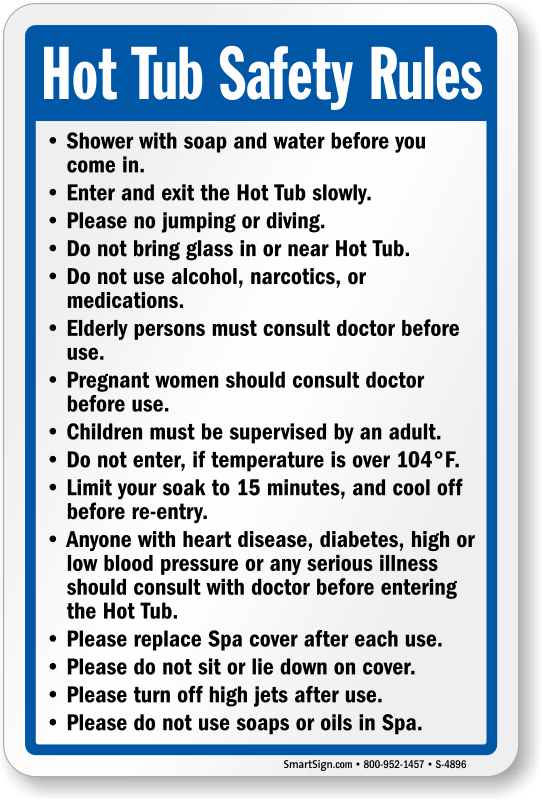 Important Hot Tub Safety Warnings! 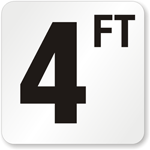 Great signs and have held up well. 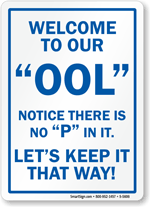 Will last forever & gets a chuckle from all! As advertised, very good quality!